Going up against the nation’s No. 1 team and defending CCAA National Women’s Volleyball Champion VIU Mariners was no easy task for the Chargers this past weekend but the squad managed to take an exciting 25-23 see-saw set off their Island rivals in Friday’s home game match – a notable accomplishment for a team that is undeniably on the rise. Second-year outside hitter and Criminal Justice student Rayelle Zacharuk achieved a personal best of 25 kills in Camosun’s weekend series against the College of the Rockies Avalanche in Cranbrook, November 16 and 17. The Chargers defeated the hosting Avs in straight sets to sweep the weekend and advance to 7-3. Camosun is now tied for second in the PACWEST standings with a #13 CCAA National ranking. The Camosun Chargers Men’s Volleyball team notched their third consecutive winning weekend on their November 16 and 17 to Cranbrook with two convincing contests over the hosting College of the Rockies Avalanche. The Chargers head into Week 7 of PACWEST Volleyball competition tied for second with a record of 8-2 and a Top 10 CCAA National ranking. The Camosun Chargers Women’s Basketball team collected a pair of exciting back-to-back home game wins against the CBC Bearcats and Langara College Falcons on the November 16-17 weekend and have now reached the end of the first half of the PACWEST season. At 3-3, the Chargers are fourth in the conference standings and ranked #14 nationally. 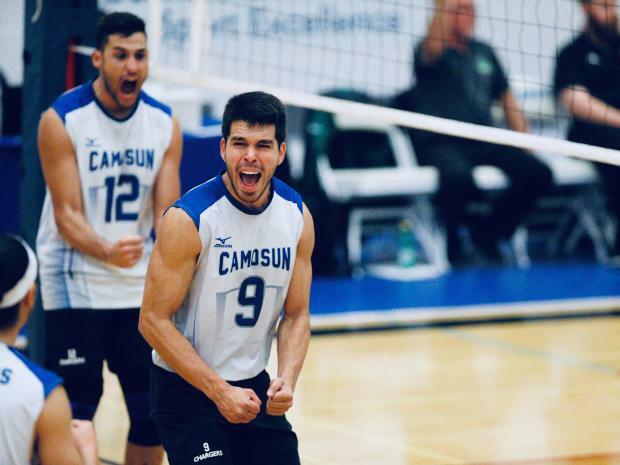 The Camosun Chargers Men’s Volleyball team continued their winning ways over the November 9 and 10 weekend with two action-packed victories against North Vancouver’s, Capilano University Blues. 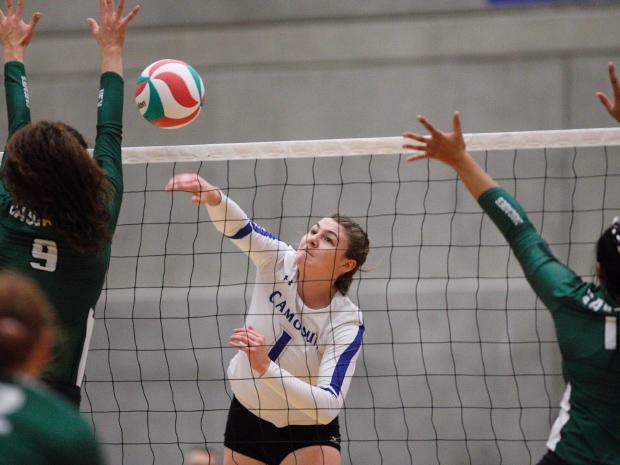 Fans from far and wide were treated to a super charged weekend of volleyball on Nov 9 and 10 as the Camosun women chalked up two epic victories in their battle against the visiting Capilano University Blues. 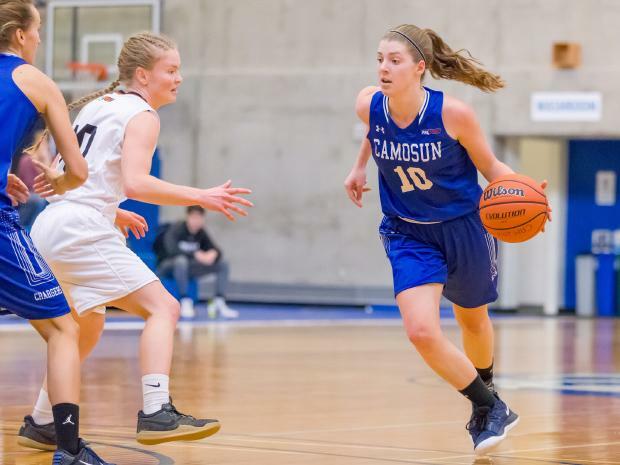 The Camosun Chargers Women’s Basketball team made a massive effort on the November 9 and 10 weekend but were edged out by their Mainland hosts, falling to the Douglas College Royals (68-55) and the Capilano University Blues (79-70) to sit sixth in the PACWEST at 1-3. The Camosun Chargers Men’s Basketball team netted a split on the November 9 and 10 weekend, beginning with a thrilling 81-76 victory against the 2018 CCAA National Silver medalist Douglas Royals (currently ranked #11 nationally) and wrapping up their two-game road trip with a tough 103-79 loss to the Capilano Blues who are ranked #7 in the nation. Following last week’s bye, the Chargers Men’s Volleyball team is raring to go as Camosun plays host to the Capilano University Blues this weekend. The Blues are led by first-year Head Coach and former Chargers player and Assistant Coach, Dave Dooley, who played two years as a libero for Camosun before assisting Head Coach Charles Parkinson on the bench from 2007-2015. 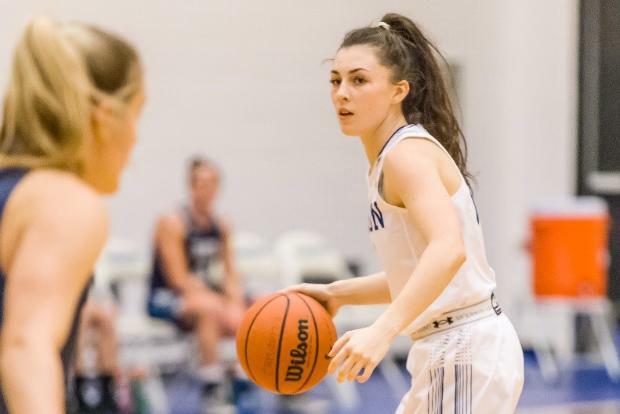 The Chargers women are 1-1 following the first week of PACWEST competition where they fell 75-54 to the VIU Mariners in Thursday’s home opener and rebounded to collect their first win of the season the following night against the Okanagan College Coyotes, 81-61. It was a rocky start to the season for the Chargers men who were unable to register a mark in the win column in last week’s openers, falling 94-87 to the powerhouse VIU Mariners on Thursday and dropping Friday’s battle versus the Okanagan College Coyotes who capitalized on picking up their first win in their inaugural PACWEST appearance, 86-71. 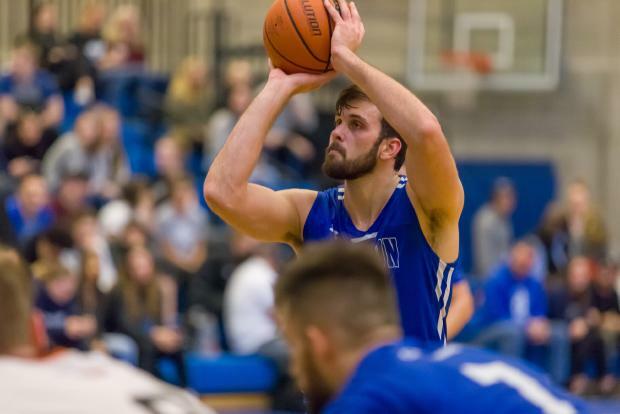 The Camosun Chargers Men's Basketball team is preparing for an exciting week as they open the 2018-19 season against Island Rivals, the VIU Mariners and the PACWEST's newest contender, the Okanagan College Coyotes. Following an eight-year absence from the PACWEST podium, the Camosun Chargers Women’s Basketball team impressed both fans and foes alike last season with their tenacity and determination as the squad fought their way to an epic battle in the gold medal game of the 2018 Provincial Championships where they netted the program’s first medal finish since 2010. Having kick-started the 2018-19 PACWEST season with two wins a piece in Abbotsford last weekend, the Chargers Men’s and Women’s Volleyball teams are keen to entertain fans and chalk up another pair of victories this weekend as Camosun plays host to the Douglas College Royals in their home openers at the Pacific Institute for Sport Excellence, October 19 and 20. The Camosun Chargers Men’s Golf team tees off at the CCAA National Golf Championships in Medicine Hat, Alberta tomorrow at 9:30am MT. The winner will be crowned following Friday’s fourth and final round. 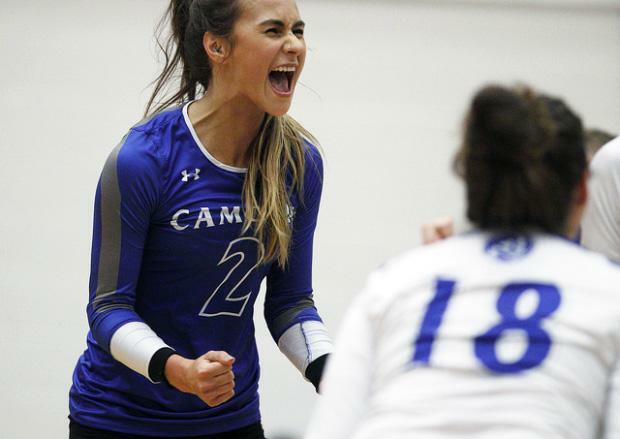 The Camosun Chargers Women’s Volleyball program is priming up for an exciting new season with a core of seven returning athletes and ten newcomers eager to make their mark on the PACWEST stage. 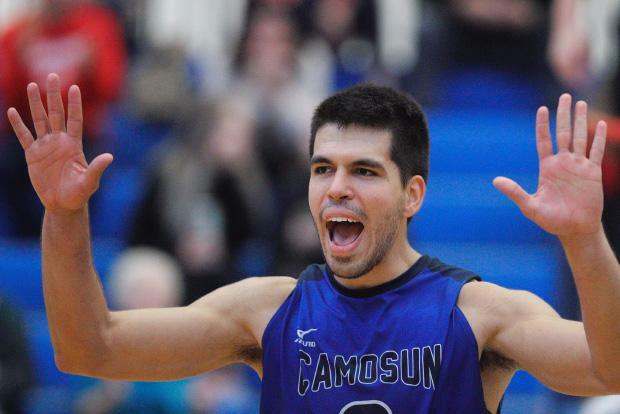 With four consecutive PACWEST Championship titles under their belt, the Camosun Chargers Men’s Volleyball team is setting up for another exciting season as the squad chases after its first-ever provincial five-peat finish. A big thank you to all the participating teams and congratulations to the tournament champions, the Belmont Bulldogs Senior Girls’ team! The Chargers would also like to thank the tournament host facilities, the Pacific Institute for Sport Excellence and Pacific Christian School. The Camosun College Chargers Men’s Golf team struck silver this weekend at the 2018 PACWEST Provincial Championships in Nanaimo, October 5-7 and with a Top 2 finish, the squad has booked their ticket to the CCAA National Golf Championships in Medicine Hat, AB October 15-19. 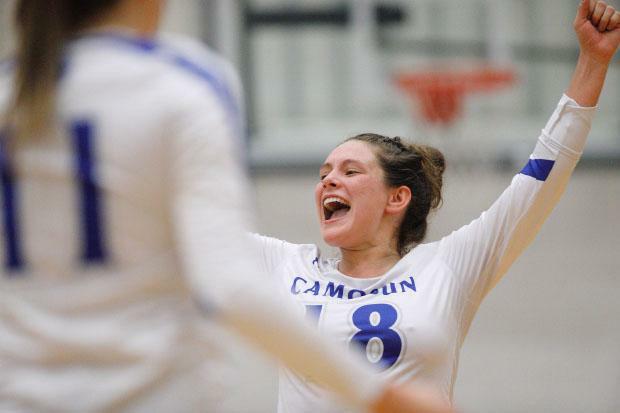 The Camosun Chargers Women’s Volleyball Girls’ High School Tournament runs this weekend with 24 senior teams and eight junior teams battling to reign supreme. Shooting a two-day total of 618 at the University of the Fraser Valley (UFV) Invitational this past weekend, the Camosun Chargers Golf team has advanced to third overall as the PACWEST gears up for the Provincial Championships, October 5-7 at the Nanaimo Golf and Country Club. The Camosun Chargers Men's Volleyball Team hosted an early season "Fall Classic" High School Tournament this past weekend for 15 teams from around the Island. Looking for work? Join this season's Camosun Chargers Event Staff! 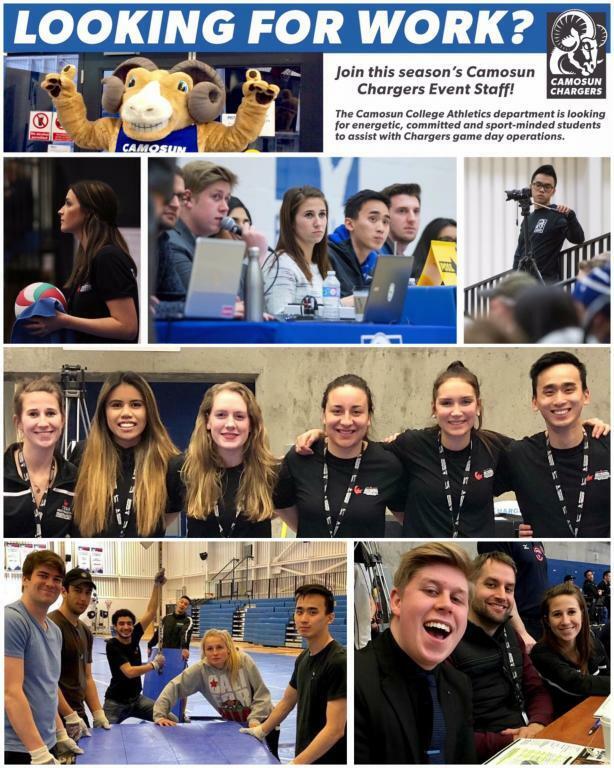 The Camosun College Athletics department is looking for energetic, committed and sport-minded students to assist with Chargers game day operations. Week two of PACWEST competition caught the Camosun men's golf team in the rough as newcomer squad members ironed out their first time game jitters while the team fought to a fifth place finish shooting a tournament total of 622 at the UBCO Invitational at the Okanagan Golf and Country Club, September 15-16. The Camosun Chargers men's golf team made a solid start to the 2018 PACWEST season with a Top 3 finish at the Langara Invitational held at the Quilchena Golf and Country Club in Richmond, September 8-9. 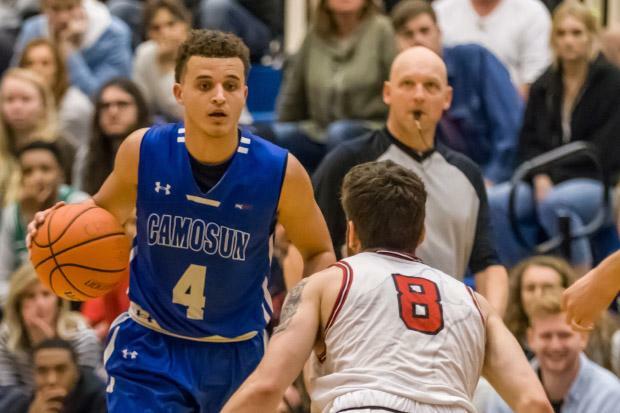 The Camosun College Chargers will be holding tryouts in basketball, volleyball and golf for the 2018-19 season. Tryouts are open to all eligible Camosun College students! Camosun College is pleased to announce the appointment of Doug Hastie as Head Coach of the Chargers Golf program. Coach Hastie is a Class "A" member of the PGA of Canada and in 2016, was named the Vancouver Island Class "A" Professional of the Year. He is a PGA of British Columbia Teacher of the Year and was last year's recipient of the PGA of BC Professional Development Award. High school volleyball teams are invited to register for the Chargers Men's Volleyball Senior Boys' Fall Classic, which takes place September 21-22, 2018 at PISE, Interurban campus. Camosun’s first shot at curling has resulted in a silver medal for the Chargers who made an incredible run at the 2018 CCAA Curling Canada Women’s National Championship. 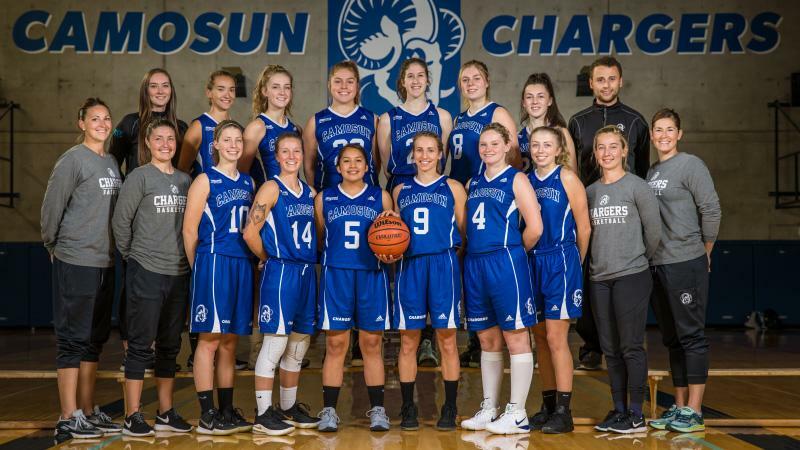 Prospective players interested in playing for the Camosun Charger's women's basketball team in 2018-2019 and/or 2019-2020 are invited to attend the Player Identification Camp, April 21 at PISE, Interurban campus. On the heels of hosting its second consecutive national volleyball championship, Camosun College is pleased to introduce the addition of Women’s Curling to the Chargers 2017-18 season. Coached by Curl BC Coach and High Performance Director and former Olympian, Melissa Soligo, the four-woman squad (known as Team Reese-Hansen) will leave Victoria this week for the Canadian Collegiate Athletic Association (CCAA)/Curling Canada Championships in Leduc, AB, March 24-28. The Camosun Chargers Men’s Volleyball team completed a historic season in 2017-18, winning the PACWEST conference title for a fourth consecutive year, a feat not accomplished since the inception of the league in 1971. 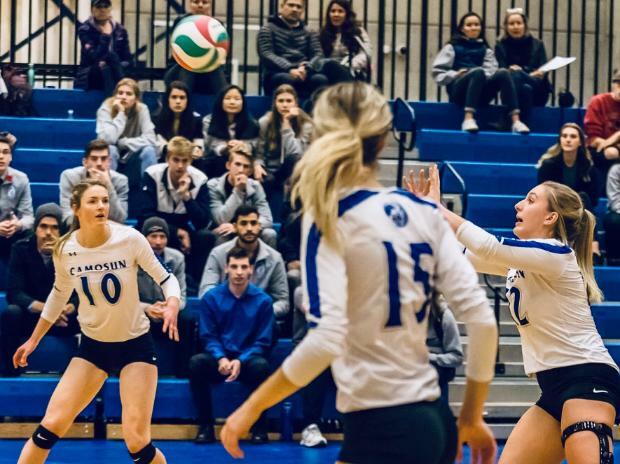 The team went on to a fourth place finish at the National Championship, hosted at Camosun College, losing 13-15 in the fifth set of a dramatic bronze medal match. 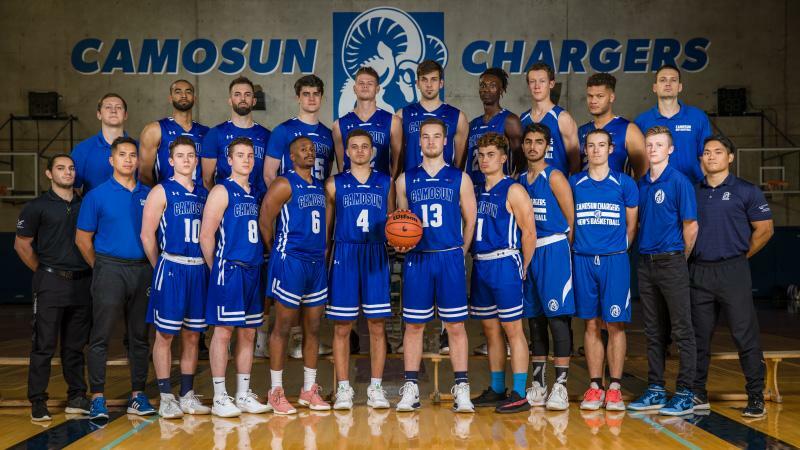 Prospective players interested in playing for the Camosun Charger's men's basketball team in 2018-2019 and/or 2019-2020 are invited to attend the Player Identification Camp, April 13 and 14 at PISE, Interurban campus. A scoreboard-objective team sport like volleyball may not have a lot in common with a judged sport such as ice dance. But that didn’t stop Camosun College coach Charles Parkinson from using recent Winter Olympic gold-medallists Tessa Virtue and Scott Moir as an example to his volleyball players as the Chargers prepared for their biggest moment of the season. The Camosun Chargers women's basketball team has thrown water on an eight-year drought by advancing to the PACWEST Provincial finals for the first time since 2010 and bringing home a silver medal! After earning their record-breaking fourth consecutive PACWEST gold medal, the Chargers men's volleyball squad is getting set for the Canadian Collegiate Athletic Association (CCAA) Men's Volleyball National Championship, hosted by Camosun College March 7-10. Camosun Chargers Men’s Basketball Head Coach Scot Cuachon knows that in the world of college hoops, change is inevitable. With five players graduating and a handful of others moving on to University—not to mention a pair of assistant coaches moving on as well—the 2018 season provided Coach Cuachon with an ample opportunity to reset the goals for the program. With just one year under her belt and the PACWEST Championships on the horizon, Camosun Chargers basketball coach, Cait Haggarty, has the Chargers’ future looking bright. Beginning her coaching career at her alma mater, UBC, Haggarty returned to her hometown of Victoria to lead the Chargers to their first winning record in four seasons. 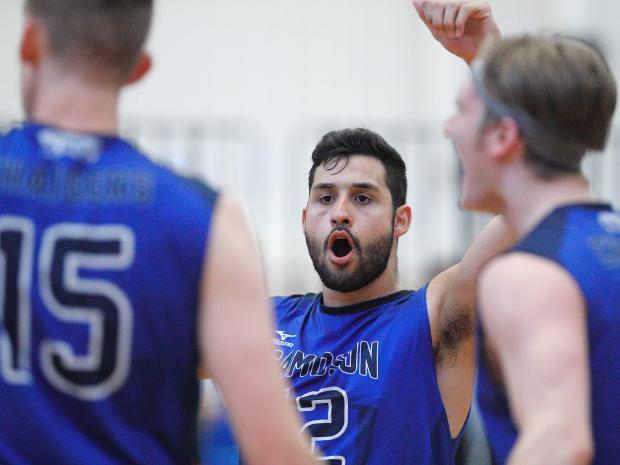 The Camosun College men's volleyball team claimed its fourth consecutive conference title on Saturday evening, defeating the Vancouver Island University Mariners in four sets (25-22, 26-24, 22-25, 25-14) at UFV’s Envision Financial Athletic Centre. 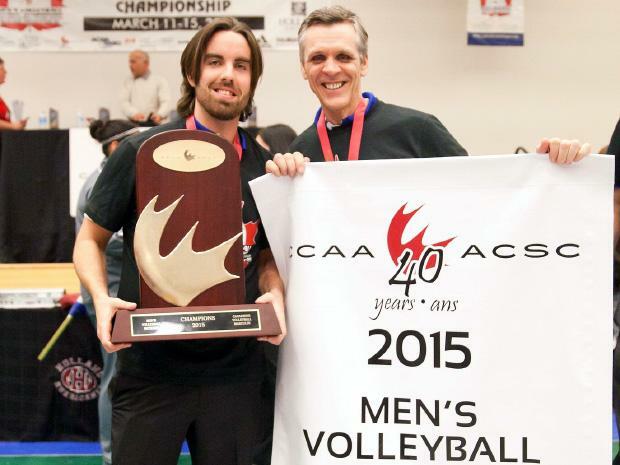 Camosun Chargers men’s volleyball coach Charles Parkinson knows what it takes to win at an elite level. The Chargers are the reigning PACWEST champions for three years running, but as they prepare to defend their title this week at the University of the Fraser Valley, neither Coach Parkinson or his players are taking anything for granted. The Camosun Chargers student-athletes invite Camosun students, employees and fans to attend their volleyball matches on Thursday, January 25 to join them in the nation-wide campaign to break the stigma surrounding mental health.